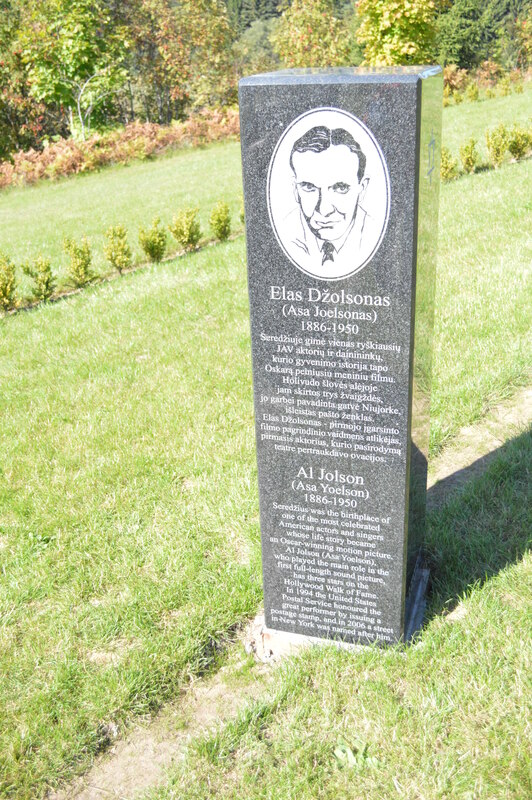 Al Jolson received a memorial stone at Jakovas Bunka’s Litvak memorial park near Plateliai, a small village in the North West of Lithuania, on September 17th, 2014. Jakovas Bunka recently passed away and was considered the last Jew in the town of Plunge, close to Plateliai. Bunka’s son Eugenijus, journalist, writer, and activist, is now leading the foundation. Jens J. Reinke, my partner at AJ-Images.com and my husband Wyman covered the event.